A blockbuster novel for over 150 years comes vividly to life in award-winning screenwriter Andrew Davies’ multi-layered retelling of Les Misérables by Victor Hugo. This enthralling television event (not a musical) airs in six episodes on MASTERPIECE, Sundays, April 14 – May 19, 2019 on PBS. 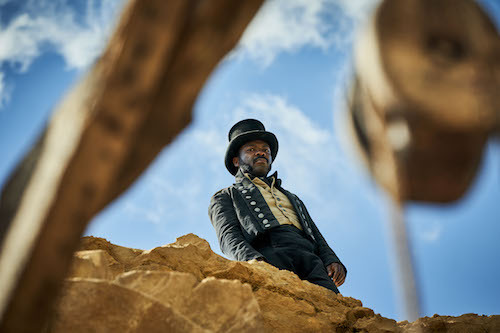 Dominic West (The Affair, The Wire) stars as Jean Valjean, the most famous fugitive in literature, with David Oyelowo (Selma, Small Island) as his relentless pursuer, Javert. Lily Collins (Rules Don’t Apply; Love, Rosie) appears as the tragic seamstress, Fantine; Ellie Bamber (Nocturnal Animals) plays her adolescent daughter, Cosette; Olivia Colman (The Favourite) and Adeel Akhtar (Unforgotten) are Cosette’s cruel overseers, the Thénardiers; and Josh O’Connor (The Durrells in Corfu) is the student and reluctant revolutionary Marius, who falls in love with Cosette at first sight. One of the longest and most engaging novels ever written, with a plot that is as relevant today as in the socially tumultuous 19th century, Les Misérables is a challenging story to condense. But in a triumph of scripting, MASTERPIECE veteran screenwriter Davies (Pride & Prejudice, Bleak House and more than a dozen other productions) preserves Hugo’s intricate plotting, striking historical vignettes, powerful themes, and evocative characterizations, producing an epic television experience that is worthy of the original novel. Les Misérables opens after the Battle of Waterloo in 1815, which saw Napoleon’s final defeat by the English and their allies, a quarter of a century after the French Revolution. With Napoleon’s downfall, the French monarchy is restored – and the thwarted ideals of the republic go underground. Also tangled into the plot are Monsieur and Madame Thénardier, an abusive innkeeping couple who become Cosette’s guardians. 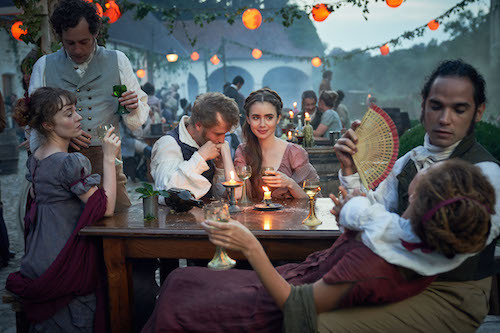 Two of the Thénardiers’ children, Éponine (Erin Kellyman) and Gavroche (Reece Yates), go on to play heroic roles in the Paris Uprising of 1832, which is led by the romantic idealist Enjolras (Joseph Quinn). 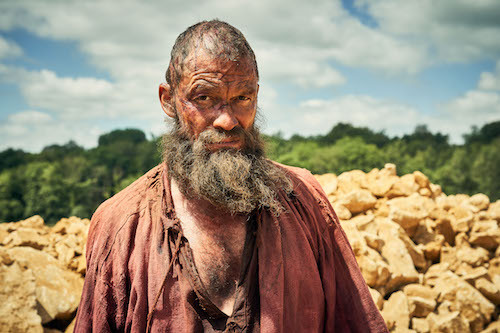 Les Misérables is a Lookout Point and BBC Studios production for BBC, co-produced with MASTERPIECE. The executive producers are Andrew Davies, Faith Penhale for Lookout Point, Bethan Jones for BBC Studios, Mona Qureshi for BBC One, Rebecca Eaton for MASTERPIECE, Dominic West and David Oyelowo. The producer is Chris Carey. The director is Tom Shankland. The drama was commissioned by Charlotte Moore, Director of BBC Content. Delegate producer for Czar Film and TV is Eurydice Gysel; produced with the support of Screen Flanders and Screen Brussels. Dominic West (The Affair, The Hour, Appropriate Adult) will star as Jean Valjean, and David Oyelowo (Selma, A United Kingdom, Spooks) as Javert, in BBC One’s landmark drama adaptation of Les Misérables. 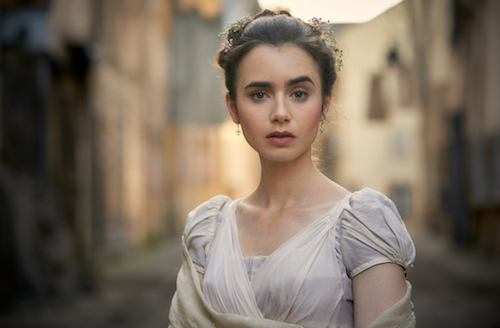 They are joined in the epic new event drama by Lily Collins (Rules Don’t Apply, Love, Rosie, Tolkien), in the role of Fantine. The distinguished British cast also includes Adeel Akhtar (The Night Manager, Murdered By My Father, Utopia) and Olivia Colman (Murder On The Orient Express, The Night Manager, Broadchurch) as Monsieur and Madame Thénardier, Ellie Bamber (Nocturnal Animals, Pride And Prejudice And Zombies, The Nutcracker And The Four Realms) as Cosette, Josh O’Connor (The Durrells, God’s Own Country, Ripper Street) as Marius and Erin Kellyman (Raised By Wolves, Uncle, The Coopers Vs The Rest) as Éponine. Multi award-winning screenwriter Andrew Davies will go back to the original novel and delve deep into the many layers of Hugo’s story, revelling in Jean Valjean and Javert’s cat-and-mouse relationship, against the epic backdrop of France at a time of civil unrest. With a striking intensity and relevance to us today, the novel is testimony to the struggles of France’s underclass and how far they must go to survive. The six-part television adaptation of the renowned book will vividly and faithfully bring to life the vibrant and engaging characters, the spectacular and authentic imagery and, above all, the incredible yet accessible story that was Hugo’s lifework. Executive Producers will be Andrew Davies, Faith Penhale for Lookout Point, Bethan Jones for BBC Studios, Mona Qureshi for BBC One, Rebecca Eaton for MASTERPIECE, Dominic West and David Oyelowo. The 6×60’ series will be produced by Chris Carey and directed by Tom Shankland. The drama was commissioned by Charlotte Moore, Director of BBC Content.